If it seems like I hit up a buffet every so often when I’m in the States, it is by design. 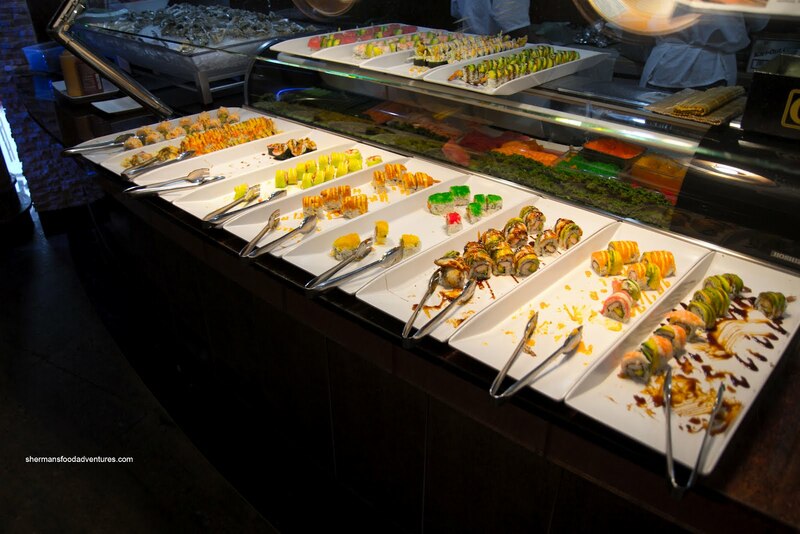 Normally, a buffet isn’t exactly the best place to find great food and thus, we try to stay away. 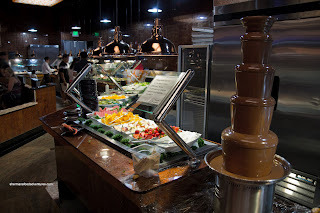 However, buffets seem to be bigger and better in the great US of A, so it is of particular interest that we tried out Mizuki Buffet. Something that normally doesn’t succeed in Vancouver is the Asian buffet due to the finicky tastes of the diverse population. 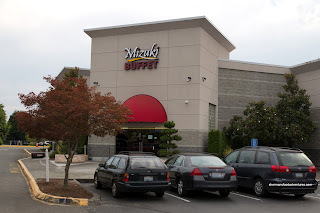 That is obviously not true in Washington State as we see many of these establishments including Bluefin, Super Buffet, Royal Star, Haiku, and Mandarin. For me, I found that the 2 in Bellingham (Royal Star and Super Buffet) to be sub par. For obvious reasons (location and population base), that was to be expected. Yet, Haiku in Redmond was pretty underwhelming as well. Bluefin is probably the best of the bunch. However, Mizuki claims to be even better, so we met up with Goose and Mrs. Goose for some overeating. At $23.99 for adults, the selection of eats for dinner could only be described as substantial and diverse. 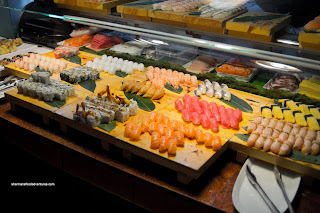 We were impressed with the Sushi Bar as it included a selection of specialty rolls, oysters on the half shell and a good variety of sashimi and nigiri. Best of all, we felt the seafood was pretty fresh and well-prepared, especially for a serve-yourself buffet. Throughout our dinner, we noticed that the manager watched over the bar like a hawk and ensured that the food was both fresh and plates were never empty. I found the sushi rice to be a touch dry and not really all that flavourful, yet it was more than acceptable given the venue. There were no names given for their Rolls, but there was the usual assortment which included rolls like the dragon, rainbow and Philly. 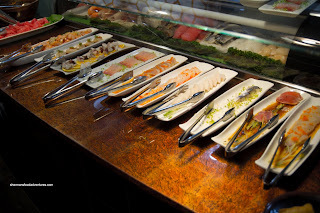 The Sashimi was a real surprise as it consisted of Red Tuna, Atlantic Salmon, Albacore Tuna, Tuna Tataki, Mackerel, Hotate, Ika, Tako, Tai, Spicy Tuna and Amaebi. The red tuna and hotate were pretty unique additions for a buffet. Included in the Nigiri was Tamago, Salmon, Unari, Tuna, Tai, Ika, Tako and Aburi Salmon. Also in the sushi station was Salmon Skin, Wakame, Spicy Squid and Cucumbers. On the opposite wall of the restaurant, the Hot Food began with Baked Salmon, Shrimp & Scallop Scampi, Skewers (Beef, Chicken and Octopus Cake), Prime Rib and BBQ Ribs. Of course the salmon was overcooked, but the scampi was actually pretty good. The shrimp and scallops were cooked nicely laced with a lot of butter and garlic. I tried a beef skewer and it appeared they used flank steak. It was pretty chewy, but it was flavourful though. As a public service announcement, I will now tell you to STAY AWAY from the Prime Rib. This had to be one of the worst ones we’ve had ever. It was fully cooked and chewy as hell. The ribs were the parboiled then grilled type. They were sufficiently tender with still quite a bit of chew left. They could’ve been seasoned and sauced a bit more. 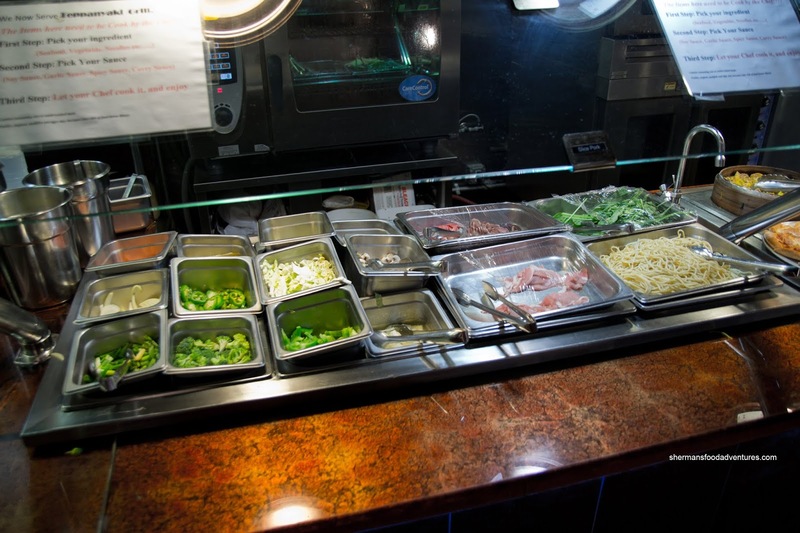 Moving along, there was a Teppanyaki station with a choice of sauces. The selection of raw ingredients were pretty modest with the meats looking pretty sad (drying out). My mom got a plate and it turned out to be not bad since it was freshly made. Directly beside the teppanyaki, there were 3 Soups including Hot & Sour, Wonton and Wintermelon. I only tried the Hot & Sour and it was pretty weak. As expected, there was no depth and limited ingredients. 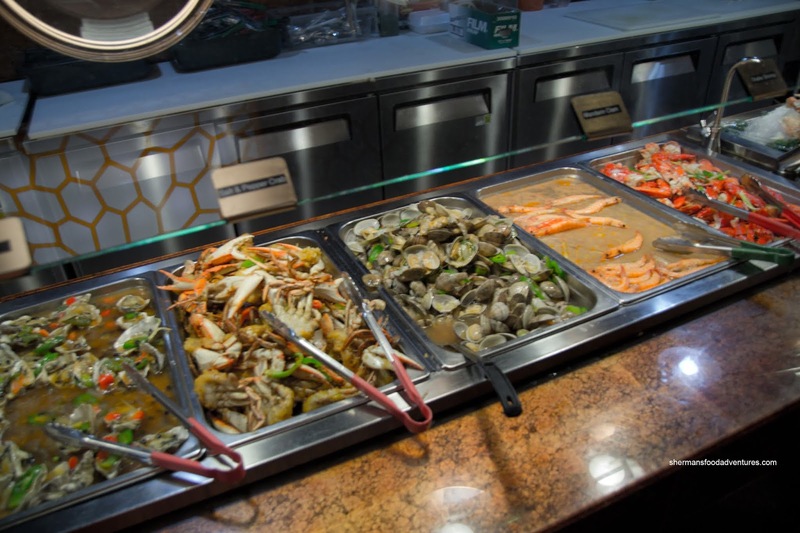 Then rounding the corner, there was a large selection of dishes which included General Tso's Chicken, Clams, Mussels, Steamed Sole and other various Chinese dishes. 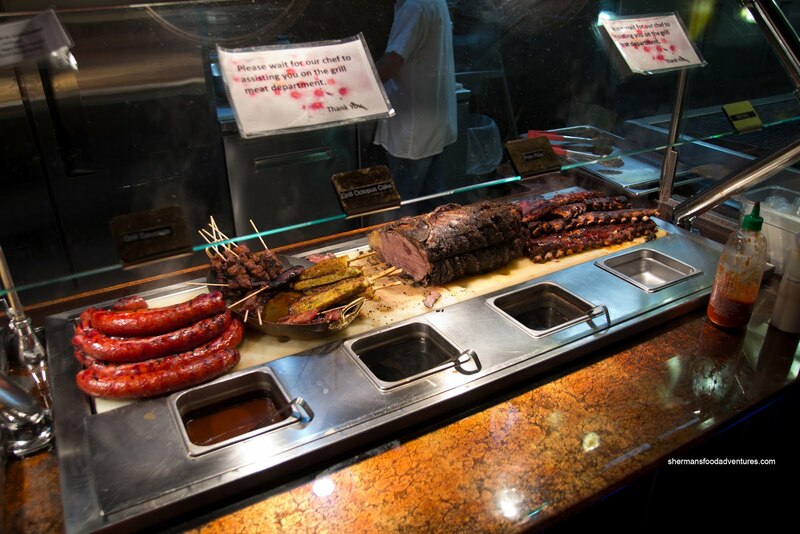 However, the main event featured Crab, Lobster and Snow Crab Legs. The crab was terrible being mushy and not fresh while the lobster was surprisingly decent. That was a popular item which was cleaned out as fast as it was refilled. I give them credit for refilling it quickly. 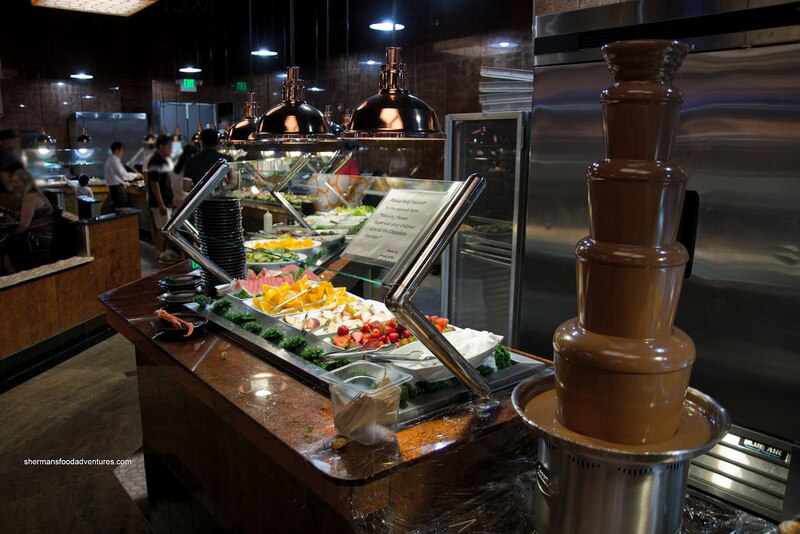 Walking past the salad bar, there was a Chocolate Fountain with a variety of fruit. 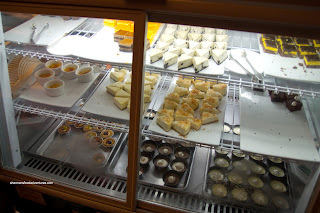 Right next to it was a display fridge containing various Desserts. 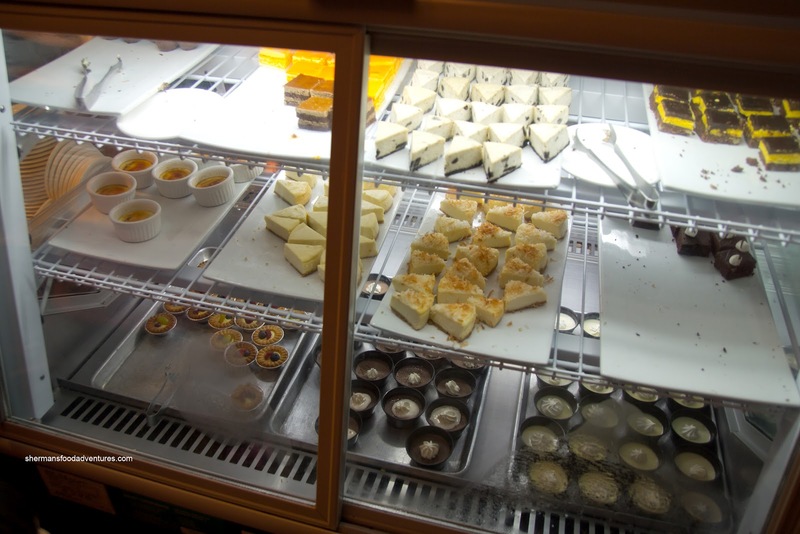 And if that wasn't enough, there was a selection of serve-yourself hard ice cream. Although some of the food was laughable, most were acceptable considering it was a buffet. Furthermore, the sushi and sashimi were surprisingly decent. 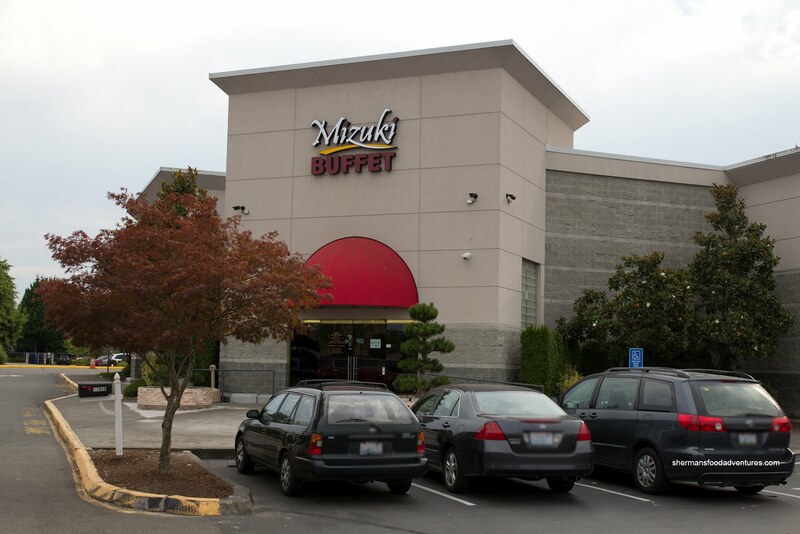 If you factor the price and the clean environment, Mizuki is better than most buffets of this ilk. I'm not saying that I am planning another visit, but if you merely wanted to stuff your face at a reasonable price, then this is for you.